The music scene of Asbury Park, New Jersey ranges from Bruce Springsteen to The Gaslight Anthem to The Clash. Asbury Park was the home of The Bamboozle Music Festival and houses The Stone Pony, one of music’s legendary concert venues. Their nightlife thrives on music, both local and national acts. 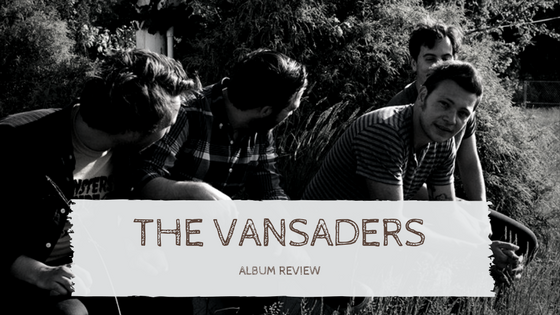 One of their up-and-coming local acts is alternative-rock band The Vansaders. No Matter What was a tough album to name, according to Zambon, but after pitching the lyric from the first track “Roll The Dice” everything seemed to fall into place. The track opens strong and once the vocals hit, it’s a pleasant surprise of cleverly written lyrics and careful arrangement. No Matter What was recorded with Pete Steinkopf of The Bouncing Souls at his studio, Little Eden Studios. This was the band’s third time recording with Steinkopf, who Zambon said came into this recording process knowing exactly what the band wanted to sound like this time around. His easy-going attitude and extensive musical background shows within each track and really created more of an eclectic sound that the band has been improving upon since their first release. This record is meant to be taken in any way the listener interprets it. Wherever the listener is in life, or whatever journey the listener may be on, The Vansaders goal is to give that listener something that they can relate to personally. From Asbury Park to across the coast, No Matter What is a record for the people.